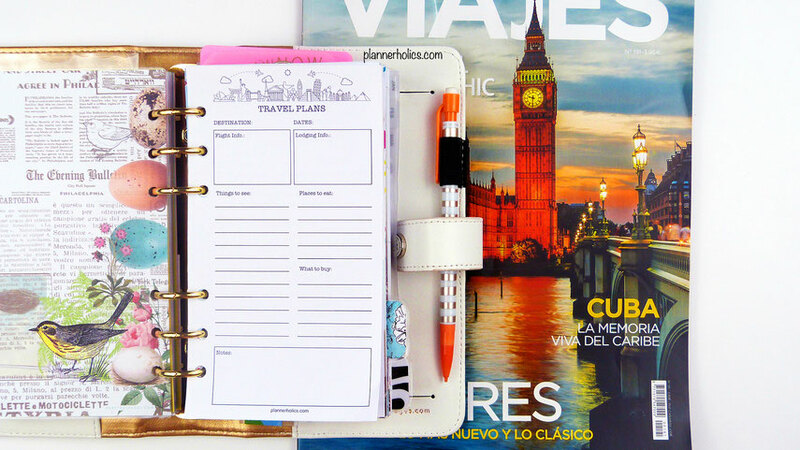 With summer here and being the planner girls I know you are, I´m sure many of you are thinking or already planning out your holiday vacations. I personally enjoy browsing through a bunch of travel magazines and picking out possible destinations to go to. Afterwards I´ll brainstorm the best things to see, places/food to eat and what things are good to buy at those faraway places. Some things that are good to consider before traveling are checking the weather, public transit maps, passport and visa requirements, country currency, voltage (for your electronic devices), etc. 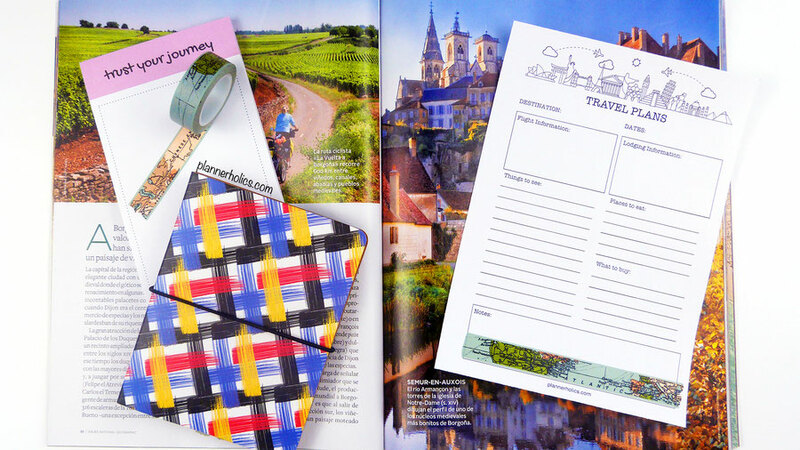 To help get you started on your next trip or vacation, I designed this short but sweet travel guide so you can add to your planners and jot down the basic information you will need as well as some points to consider when you are visiting your choice of destination. I hope you like it and find it useful. 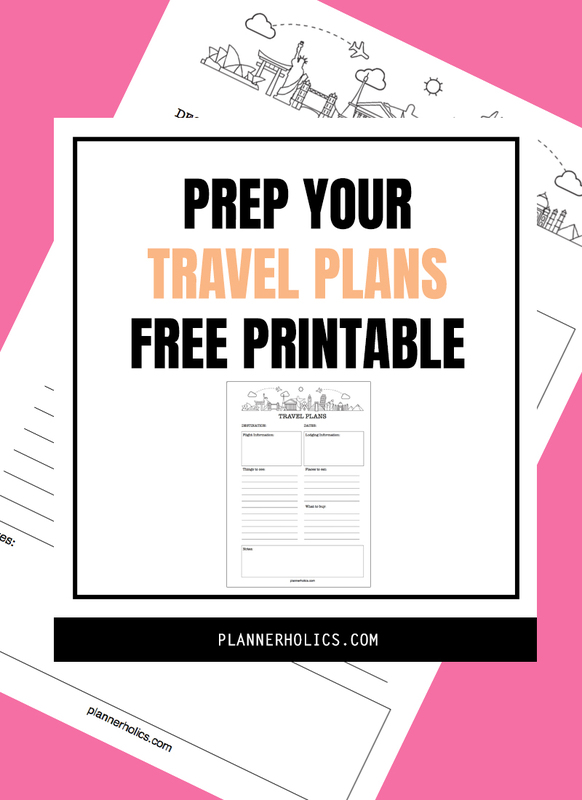 I would love it if you tagged me on social media @plannerholics or use the hashtag #plannerholicsinserts if you end up downloading this free printable for your planners. I always enjoy when all of you share your beautiful spreads and planning methods with me. The inspiration I get from you is beyond words and makes creating these monthly printables worthwhile. The file is set to the exact page dimensions, to print it on your A4 or letter size paper all you have to do is set your printer settings to scale 100%.